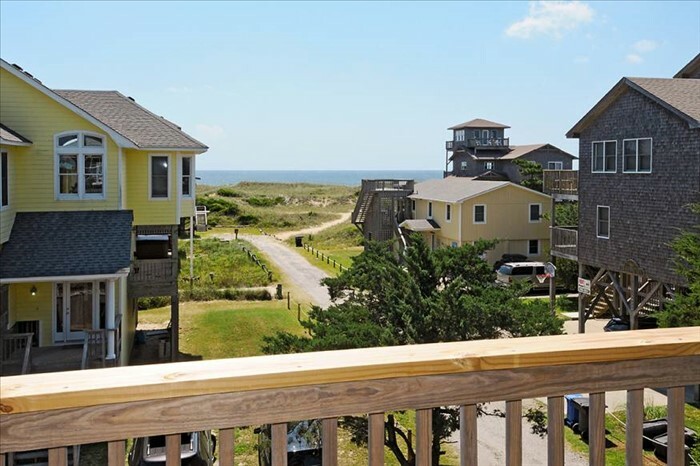 Located in a family-friendly Hatteras neighborhood, close to marinas, shopping, beach and restaurants. Enjoy this nicely appointed, comfortable home. The top level consists of an open kitchen with granite counters and breakfast bar, dining/living areas, and ample room for your family gatherings. 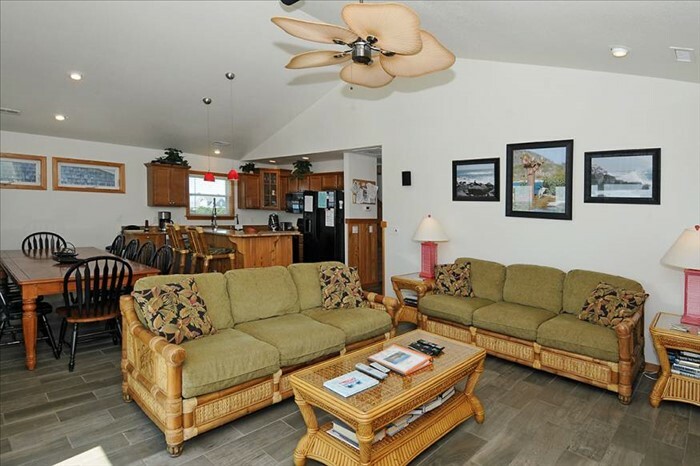 There is a gas fireplace and access to both a covered and sundeck to enjoy ocean and sound views. A king bedroom, loft area with TV, and full bath round out this level. 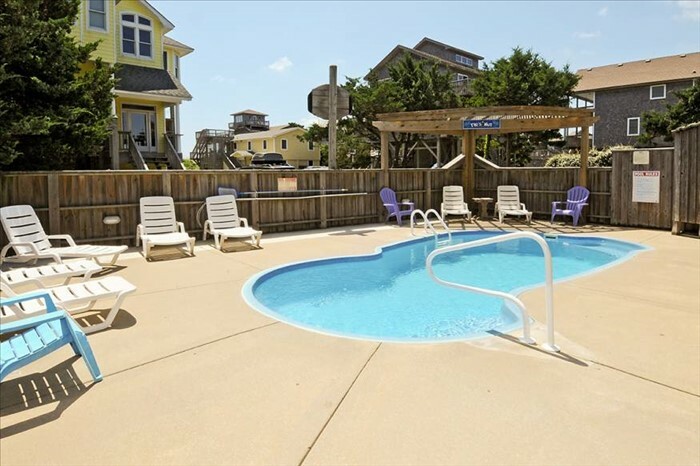 The mid-level includes a king master bedroom, queen and pyramid bunk bedrooms that share a Jack-and-Jill bathroom, laundry center, and convenient access to the covered deck and hot tub. 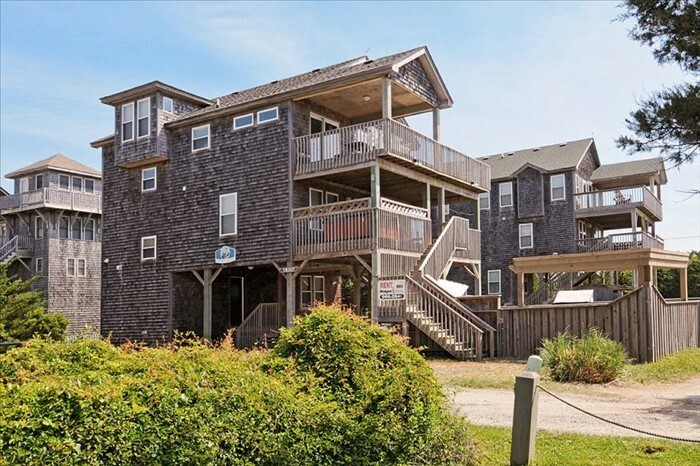 The first level offers a dry entry from the carport area, game room with foosball, TV, sleep sofa, the convenience of a full size refrigerator, icemaker, wet bar, and full bath.